The Auckland Volcanic Field (AVF) is a young basaltic field that lies beneath the urban area of Auckland, New Zealand’s largest city. Over the past 250,000 years the AVF has produced at least 49 basaltic centers; the last eruption was only 600 years ago. In recognition of the high risk associated with a possible future eruption in Auckland, the New Zealand government ran Exercise Ruaumoko in March 2008, a test of New Zealand’s nation-wide preparedness for responding to a major disaster resulting from a volcanic eruption in Auckland City. The exercise scenario was developed in secret, and covered the period of precursory activity up until the eruption. During Exercise Ruaumoko we adapted a recently developed statistical code for eruption forecasting, namely BET_EF (Bayesian Event Tree for Eruption Forecasting), to independently track the unrest evolution and to forecast the most likely onset time, location and style of the initial phase of the simulated eruption. The code was set up before the start of the exercise by entering reliable information on the past history of the AVF as well as the monitoring signals expected in the event of magmatic unrest and an impending eruption. The average probabilities calculated by BET_EF during Exercise Ruaumoko corresponded well to the probabilities subjectively (and independently) estimated by the advising scientists (differences of few percentage units), and provided a sound forecast of the timing (before the event, the eruption probability reached 90%) and location of the eruption. This application of BET_EF to a volcanic field that has experienced no historical activity and for which otherwise limited prior information is available shows its versatility and potential usefulness as a tool to aid decision-making for a wide range of volcano types. Our near real-time application of BET_EF during Exercise Ruaumoko highlighted its potential to clarify and possibly optimize decision-making procedures in a future AVF eruption crisis, and as a rational starting point for discussions in a scientific advisory group. 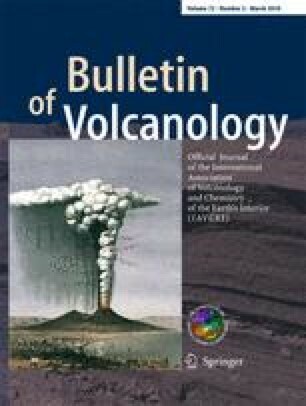 It also stimulated valuable scientific discussion around how a future AVF eruption might progress, and highlighted areas of future volcanological research that would reduce epistemic uncertainties through the development of better input models. This research was carried out through support from the New Zealand Earthquake Commission (EQC) and the Foundation for Science and Technology grant to GNS Science under contract CO5X0402. We thank Brad Scott, Ian Smith, Colin Wilson and Steve Sherburn for helpful discussions during the process of setting up the code. Graham Leonard provided valuable assistance with map generation. We also thank Phil Shane for providing constructive comments on an earlier draft. Reviewers Christina Magill, Chris Newhall and two anonymous reviewers provided many constructive comments and greatly improved the quality of the manuscript. We are grateful to Jocelyn McPhie for her thoroughness in editorial handling.